Honestly, I wasn’t totally sure what to expect with Pokémon Sun and Moon. I don’t think a lot of people disagree that the main entry Pokémon games haven’t been good for a while. Pearl was pretty mediocre unless you really liked Geodudes and Zubats, I recently played Pokémon Black and that was a total snooze, and Y was so boring I still have yet to finish it. But those fears were put to bed the moment I started playing, and I’m convinced Pokémon Sun and Moon are the best entries in the series since Silver and Gold. I had no worries about Pokémon Ultra Sun and Ultra Moon, simply because they’re enhanced versions of their predecessors, much like Pokémon Yellow, Pokémon Crystal, or Pokémon Emerald. 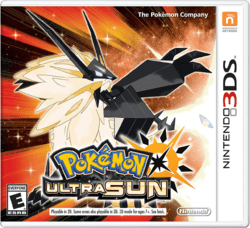 Since Ultra Sun/Moon are essentially the same as their predecessors, I won’t spend too much time recapping since we have a perfectly good review of those games available for your reading pleasure. However, there’s one thing I did want to mention that I think our previous review glazes over, and that’s how distinctly different these games feel from any other entry in the franchise. Don’t get me wrong, you still travel across the land, catching Pokémon and teaching them the power that’s inside, however I feel like every Pokémon game since Red and Blue have felt very much like a “Pokémon” game. Each one has added something new, but they’ve all adhered to a fairly rigid formula. While these elements are still present in Sun and Moon, they’ve been tweaked in ways that make the game feel more like an actual RPG, rather than just another Pokémon game. This comes across most in the game’s narrative structure. Rather than going from town-to-town, gathering badges and working up to challenging the Elite Four, trainers go from Island to Island completing Island Trials—a set of small challenges, culminated by a fight against the trial’s Totem Pokémon: a massive version of different Pokémon, which feels like a proper boss fight at the end of a dungeon. 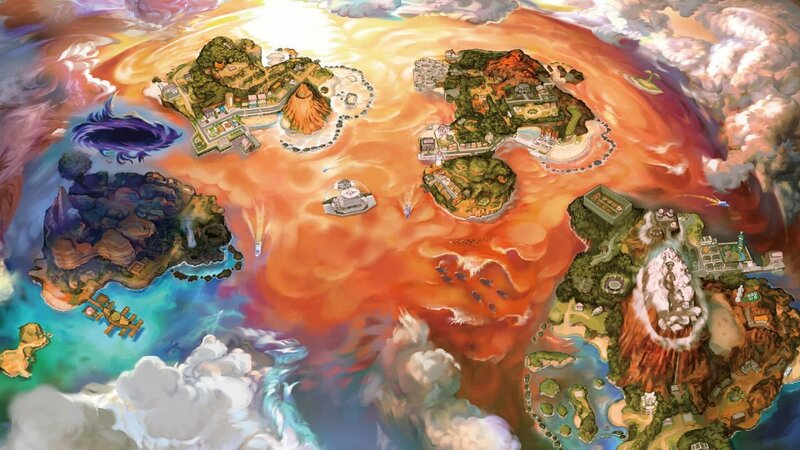 By completing these Trials, Trainers earn the right to challenge the Island’s Kahuna; who thematically replace Gym Leaders, but feel more narratively substantial as the Island’s highest authority. 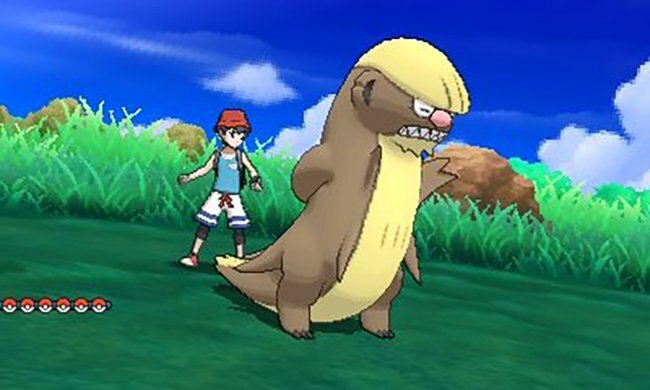 It’s these small changes that make it feel like a proper RPG; like you’re on an actual adventure, being challenged by powerful monsters, facing off against the island’s’ leaders, proving your worth as a trainer. It’s like the closest thing to a game version of the Pokémon anime. 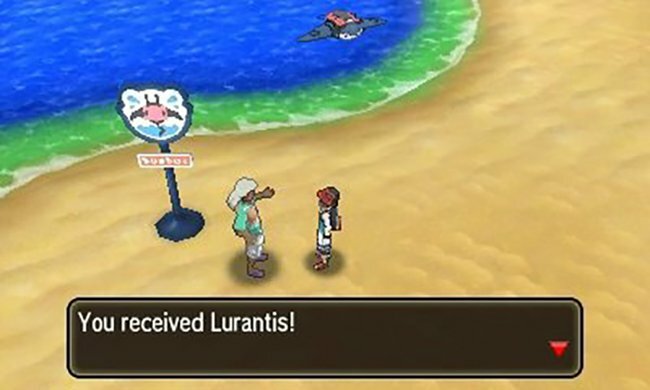 Another way the game accomplishes this is with the “PokeRegister,” which lets you summon Pokémon to ride and use outside of battles, like a Tauros that can smash through rocks and a Lapras to carry you over bodies of water. It’s an interesting way to essentially replace the function of HMs, while being conducive to the narrative since it feels like you’re gaining partners who are lending you their powers, rather than teaching these necessary moves to throwaway Pokémon. In fact, the whole game feels more narratively focused and genuine. Pokémon no longer feel like a means to an end, but creatures that exist alongside humans, that are both friends and helpers. This focus comes through in the gameplay as well. One of my biggest problems with X and Y was how every trainer only ever had one Pokémon and battles were a total breeze, and while this still exists, it feels more cohesive to the narrative as trainers set out with their one partner Pokémon to accompany them through their quest. 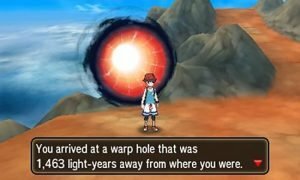 While Ultra Sun/Moon offers essentially the same main game, what is different is the wide variety of post-game content. Most notably, the “Ultra Recon Squad,” who act as a throughline to the additional emphasis put on the Ultra Space, and exploring the various wormholes within to find Ultra Beasts or even Legendary Pokémon. It also sees the inclusion of Team Rainbow Rocket; a powerhouse team of every villain group from every Pokémon generation. Z-Moves and PokeRegister Pokémon, Battle Modes, and other fun minigames add hours of extra content to an already amazing game. If I have one complaint with Sun and Moon it’s in the looks department. The game omits the use of the stereoscopic 3D, except in certain moments, and overall is pretty graphically lacking. It almost looks like a DS game with a pretty noticeable amount of pixelation. I know the 3DS is capable of better looking games than this, and if Sun and Moon looked as good as they play, it would have been something amazing. Aside from the visuals, I could go on and on about how amazing these games are. Suffice to say, Pokémon Ultra Sun/Moon are excellently expanded versions of what I’d say is the best Pokémon game released in years. If you missed out on Sun and Moon then you should definitely pick this one up. It feels as exciting and new as Pokémon did 20 years ago and is a MUST OWN for fans and newcomers alike. Game Freak reinvented their wheel with Pokémon last year. This year they polished the hell out of it!